It's no surprise to see more organizations allocating resources and investing in solutions to aid in their care coordination efforts. After all, better care coordination has been shown to lower costs, increase patient satisfaction, and, most importantly, improve patient outcomes. The Agency for Healthcare Research and Quality defines a central goal of care coordination as meeting patient needs and preferences in the delivery of high-quality, high-value care. As we’ve all been a patient at some point, it's not difficult to get on board with these objectives. For organizations interested in improving care coordination, there are numerous tools and resources available to help ramp up their efforts. Here are four worth considering. Patient care in today's healthcare system is very fragmented due to poorly coordinated sharing of information between providers. How does a provider know when her patient shows up at the emergency room, for instance? That's one of the reasons why providers — as well as a growing number of payors — are increasingly relying upon the use of clinical event notifications (CENs) to improve the sharing of patient information. a recipient, such as a provider or care manager who may subsequently impact care. When used effectively, a CEN service can boost provider awareness while enhancing collaborative decision-making through the automatic alerting of providers about healthcare events that occur within a defined patient population. The potential benefits: closed care gaps, , reduced hospitalizations, and improved outcomes. To help ensure that airplane pilots perform their jobs successfully and safely, they rely upon what one might consider a relatively simple tool: checklists. It was the use of such checklists that served, in part, to inspire Atul Gawande, MD, MPH, surgeon, writer, public researcher and now CEO of the new healthcare venture between Amazon, J.P. Morgan, and Berkshire Hathaway, when he wrote his book, "The Checklist Manifesto: How to Get Things Right." As he told NPR, "Our great struggle in medicine these days is not just with ignorance and uncertainty. It's also with complexity: how much you must make sure you have in your head and think about. There are a thousand ways things can go wrong. … The pilot's checklist is a crucial component, not just for how you handle takeoff and landing in normal circumstances, but even how you handle a crisis emergency when you only have a couple of minutes to make a critical decision." As patients move from department to department and appointment to appointment, the opportunity for a missed treatment increases. 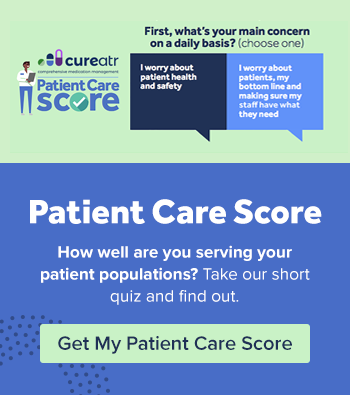 The use of workflow checklists, specifically those customized to an organization's unique needs, can help providers ensure patients go where they need to, and when they need to while enhancing standardization and the streamlining of care. As Dr. Gawande writes, "(Checklists) not only offer the possibility of verification but also instill a kind of discipline of higher performance." Handwritten notes. Emails. Text messages. Verbal statements. What do these all have in common? They can serve to help coordinate a patient's care, but there is no effective way to track whether the information provided through these communication methods was acted upon. Enter task management solutions. These are designed to allow clinicians to electronically monitor tasks critical to successful treatment. Clinicians can assign and manage tasks and receive notifications when they are completed by team members. import patient information from EHRs, clinical information systems and medical devices. Recognizing the clinical and financial value of better care coordination, organizations are assigning nurses the responsibility of helping patients traverse the complex healthcare system. These "nurse navigators" (sometimes referred to as "patient navigators" when the individuals are not nurses) can have a wide range of responsibilities, ultimately dictated by the needs of their department/organization and patients they serve. Nurse navigators can be seen helping coordinate the care of patients with heart failure, infants with lung disease and their families, high-risk obstetric patients, and many others. But they are most commonly associated with aiding oncology patients. The report further notes that, "the nurse navigator will always stay in close communication with the patient across the care continuum to ensure care coordination, efficient care delivery, and removal of care barriers. 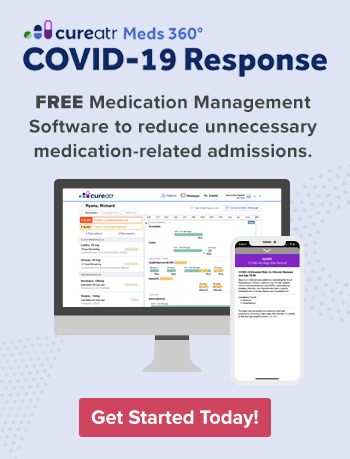 Additionally, the nurse navigator promotes adherence and provides emotional support…"
While the use of nurse navigators has surged in recent years, lack of reimbursement support for these services remains an obstacle to wider expansion. These services are sometimes supported through grants or provided by organizations because they recognize navigation as a worthwhile offering that delivers a return on investment in the form of better outcomes, increased patient satisfaction and retention, removal of care barriers, and enhanced community relationships. With the increased focus on value-based care, expect to see more organizations relying upon nurse navigators to help assist ensure through their continuum of care, and payors to attribute meaningful financial value to this critical form of care. Learn more about bridging the information gap to improve patient safety.